I finally plucked up the courage to get my Avalon Line O9 coach out of the drawer. 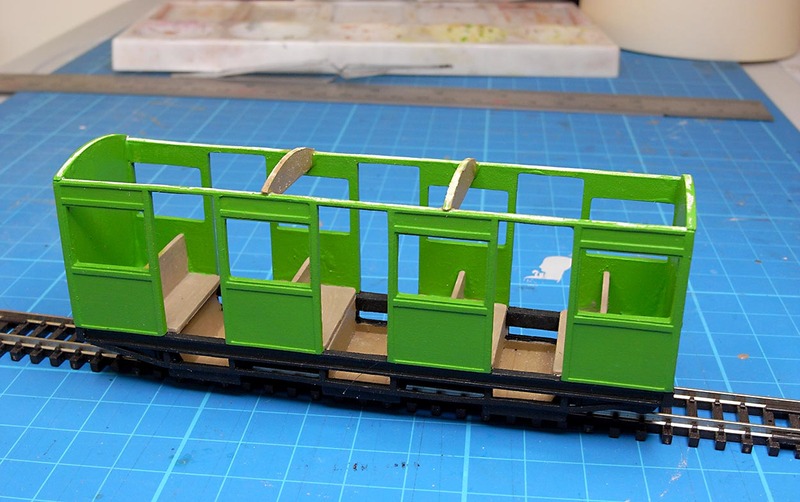 I sanded down the rough paintwork and repainted the outside of the coach as carefully as I could. I’m pleased to say the outside is looking a lot better. This has encouraged me to carry on with the build. The bogies are very simple. They use Peco wheels and the axles slot in very easily. 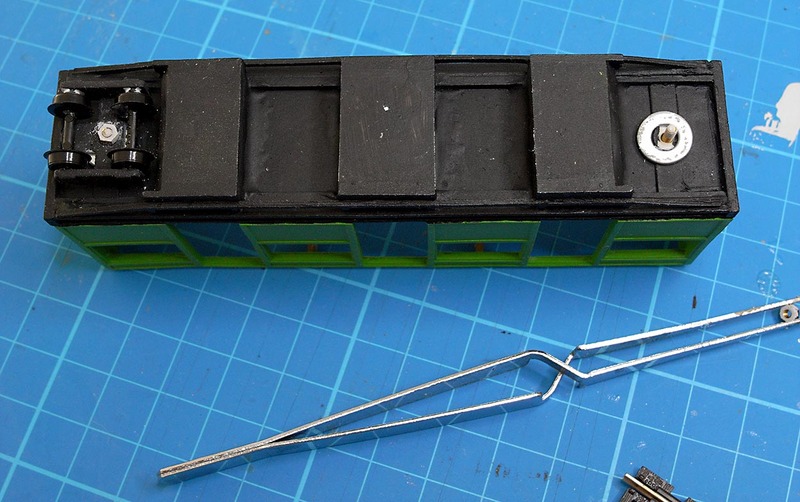 The underside of the bogie is the perfect mounting height for Greenwich narrow gauge couplings. I ‘tacked’ these lightly in place with a small amount of superglue. When I mounted the bogies on the chassis I discovered the bottom of the foot wells were very close to the top of the rails. I found some small washers in ‘bit box’ and placed these between the chassis and the bogies. The washers are too large in diameter really and they are rather ‘sloppy’, but they are the smallest size I had. The washers increased the gap between the base of the coach and the top of the rails. I decided to test the coach. Click the image below for a video of the test run. I was very pleased to see it runs well. The next job is the roof….